An ingredient I use in a lot of my recipes and something I use every time I bake a cake is something called cake release. I was first introduced to this many years ago and I have taken for granted my familiarity with it. Now, more and more people are asking me what it is and why I use it. 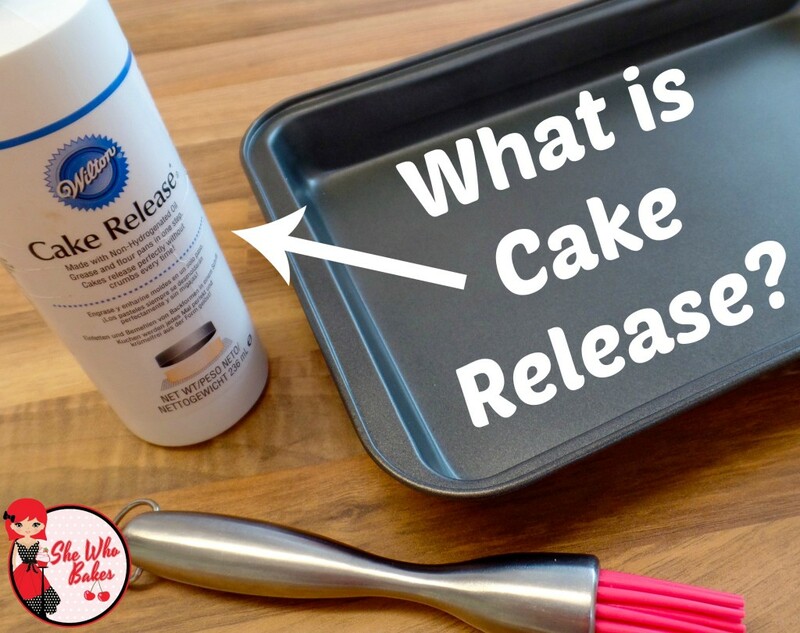 Cake Release is essentially an oil, fat and flour mix that comes in either a spray or liquid form, that you use to lightly coat your pans with before you bake, eliminating the need for greasing or lining. 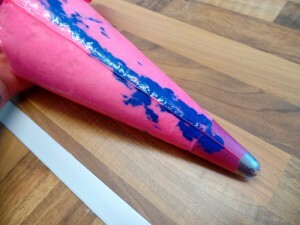 Now, whilst I use it on it’s own for irregular shaped tins, silicone moulds and live baking demos, in my kitchen, I will use it to stick down my greaseproof paper. (See my tutorial for lining a cake tin here.) I often found when I was lining tins using butter on kitchen roll, it would leave a pool of liquid on the base of my cakes and as I would be using the bottom of my cakes as the top when I decorate, it was affecting my finished result. Up until recently, I have been using Dr Oetker Cake Release Spray. Easily available in supermarkets and priced around £3, it was great. A quick spray would stick my greaseproof paper into place perfectly and by spraying the sides of my brownie tin, I was never left with a sticky mess. I loved the product. So, imagine my sheer horror when I discovered that Dr Oetker decided to discontinue it! I was gutted. Over the years it’s become a staple of mine and is included in 90% of my recipes on my website. I needed to find a replacement. So, enter Wilton. available in Lakeland for around the £4 mark, it’s slightly more expensive but you get more. This cake release is in a liquid form and it’s best to squirt a small amount in the middle of your pan and use a silicone pastry brush to coat the base and sides. Having used it for a few months now, I can confirm it works great. Sticks down my greaseproof paper when I’m baking round cakes and got my slices out just fine with no paper used at all. Of course, you can also make your own. 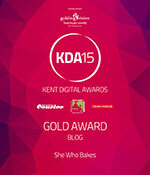 A quick google for ‘Cake Release Recipes’ (See also; pan release) brought up loads. I haven’t tried to make my own as of yet, put that down to a combination of laziness and lack of time. 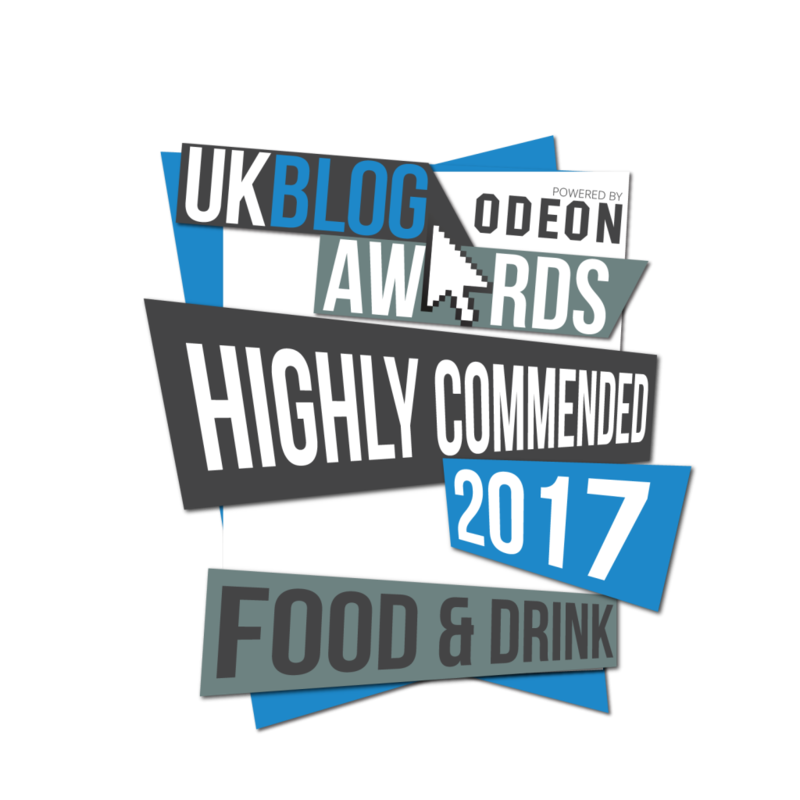 If you make your own or have a tried and tested recipe, I’d love to hear about it. Or if you use a different brand that you think is great, let me know, either on Facebook or Twitter or Instagram. Over the years as a baker, you get used to being part of someone’s special occasions. Be it a wedding, a birthday, christening or funeral, a part of you that has made its way into their lives. So, when I got an email from a lovely young man called Ryan who asked for assistance with a surprise for his girlfriend I was thrilled to help. *Congratulations! * I emailed Hannah with details of a competition she had won. A competition that, of course, didn’t exist. 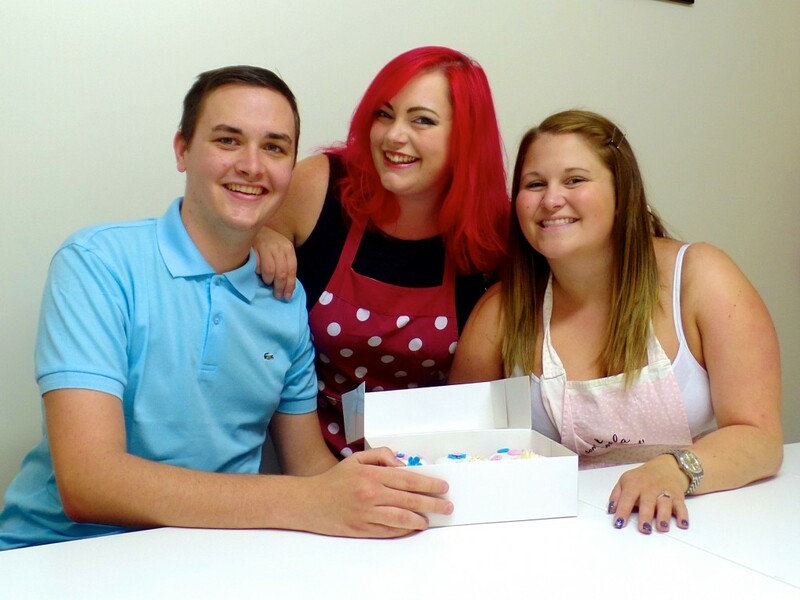 She was to come to my studio in a months time and claim her prize; a 1-1 cupcake decorating class with me! I sent her the details as I would any student of mine and I waited nervously. I hope she didn’t think something was off. A long ten minutes later she replied saying she was delighted and really excited. Good, she hadn’t suspected a thing! Considering I’m the worlds worst liar, I think we got away with that one. 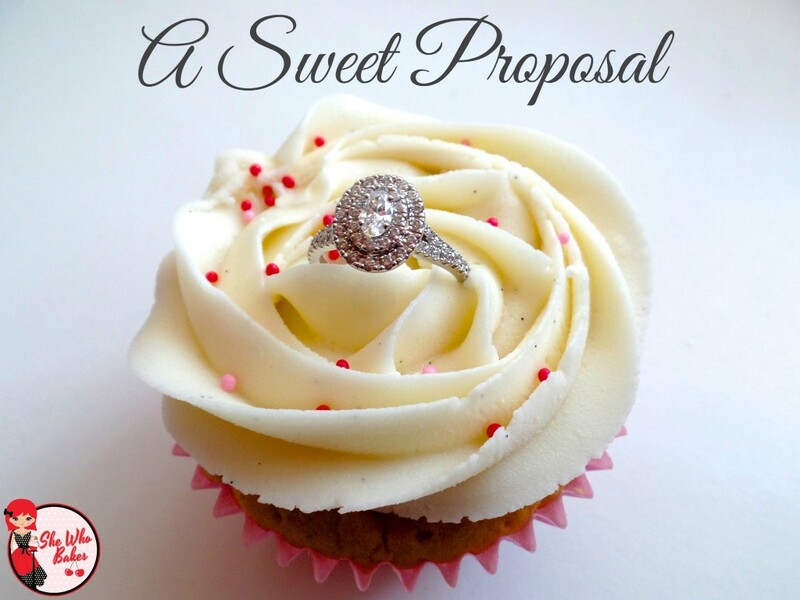 Ryan and I discussed him dropping off the ring the week of the class and I was to put it decoratively into a cupcake for him to present Hannah with at the end of the class. I think I was more nervous than he was! On the day, I had prepped my partner Tim. He was to meet Ryan at the door with the engagement cupcake while I was finishing teaching Hannah. (I later found out he gave him a man to man pep talk! Haha!) 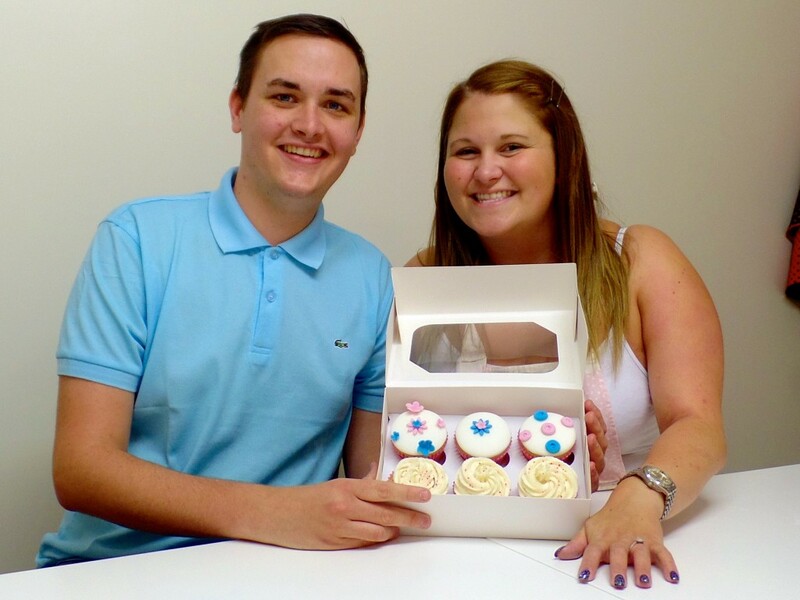 She arrived at 10am and we had tea and lots of fun with cupcakes. A few hours later and the doorbell went. I knew it was Ryan. My heart was beating ridiculously fast. I was so excited as I knew what was about to happen! We then all had a cup of tea because we’re British and that’s what we do. Then Ryan whisked Hannah away for a romantic dinner and an evening at a hotel. I’m so so happy for them both and thrilled I got to be part of their very special occasion. I await an invite to the wedding. 😉 I wish Ryan and Hannah every happiness. Earlier this week I posted my recipe for Cookie Dough Stuffed Oreos and I am thrilled by the awesome response! 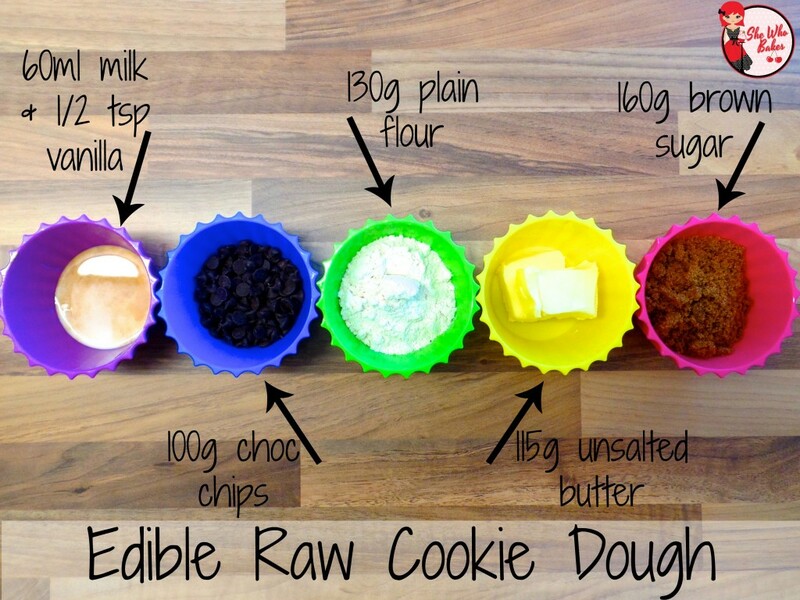 The Oreos in this case were a serving suggestion and the big focus is on the game changing, edible raw cookie dough. 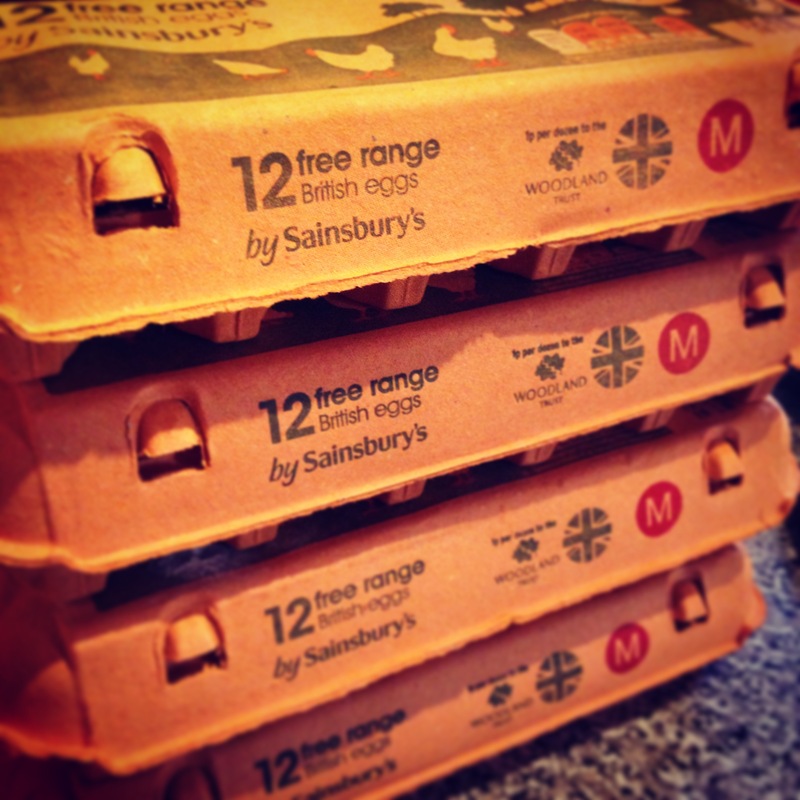 Safe to eat with no worry of salmonella and no baking required. Just mix, spoon and eat. 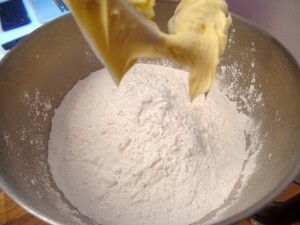 Add in flour and mix. Pour in milk and vanilla and mix. I’m seeing cupcakes in my sleep. This week I made 80 personalised cupcakes for the wedding of an old school friend. As part of the design, a pop of colour was added to the buttercream by using a dyed edge buttercream rosette. Great for all occasions and easily adaptable for your colour scheme. Here’s how I did it! 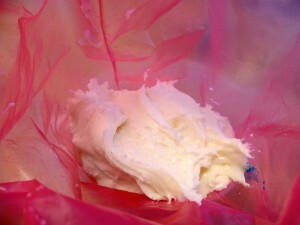 500g icing sugar, ½ tsp vanilla and a dash of milk. 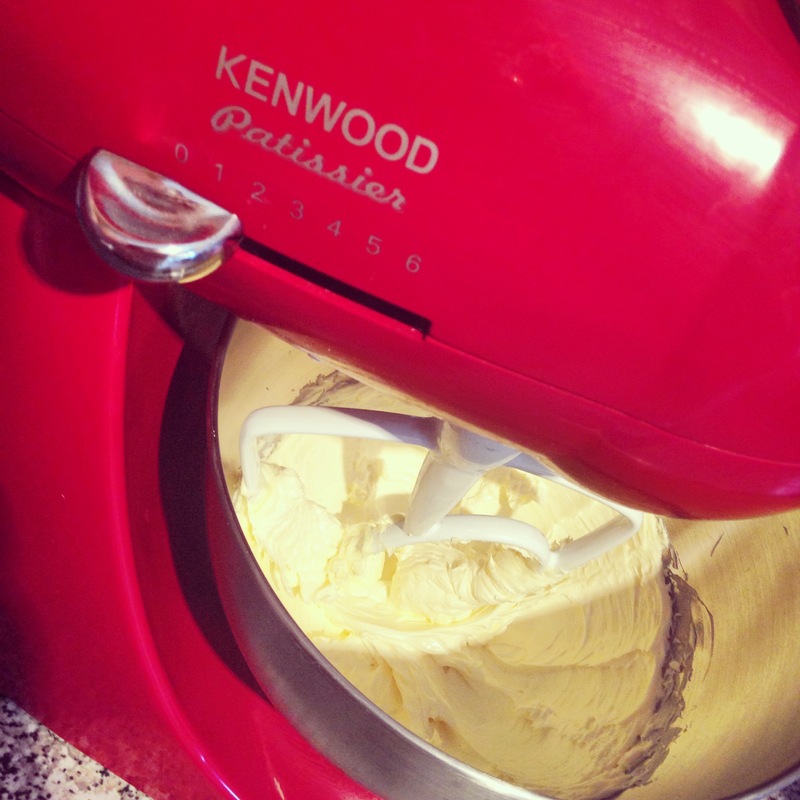 Make up your buttercream first. We want white a pale buttercream so the yellow doesn’t affect the food colouring. 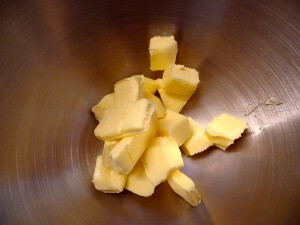 To make it pale, we need to whisk the butter for approximately 5 minutes. Then, add in your icing sugar, half a teaspoon of vanilla and a dash of milk. The amount of milk you will need to add will depend on the temperature outside and the temperature of your kitchen. If it’s hot, you will need quite a firm buttercream and won’t need much milk at all. Add little bits at a time until the consistency is right for you. You will need a large piping bag fitted with your choice of nozzle. (I’m using a JEM 1J), your choice of food colouring and a paintbrush. 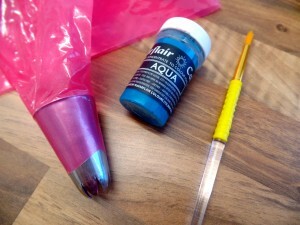 Paint a line of colouring up the bag, starting in the nozzle. You can do more than one line for added colour. (I did two!) 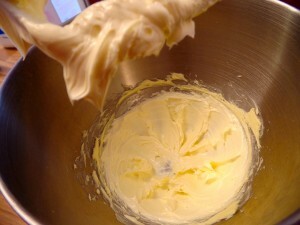 Then spoon in your buttercream and squeeze down to the end of the nozzle. 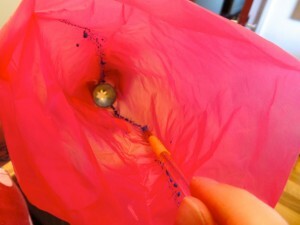 Twist the top of the bag so it’s secure and you are ready to pipe! 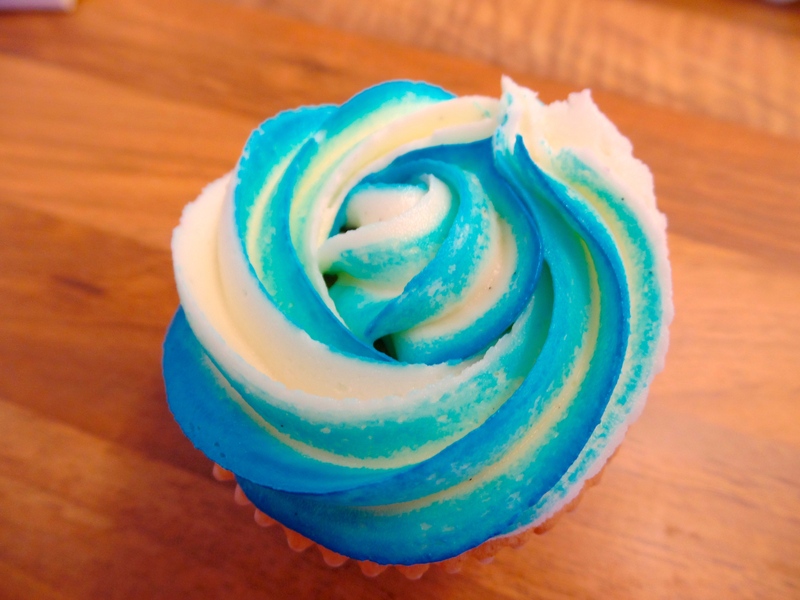 To make a rosette, start in the middle of your cupcake and squeeze buttercream out anti-clockwise until you reach the end. Then, very important, STOP squeezing and THEN pull away. You can then add any decorations you like. 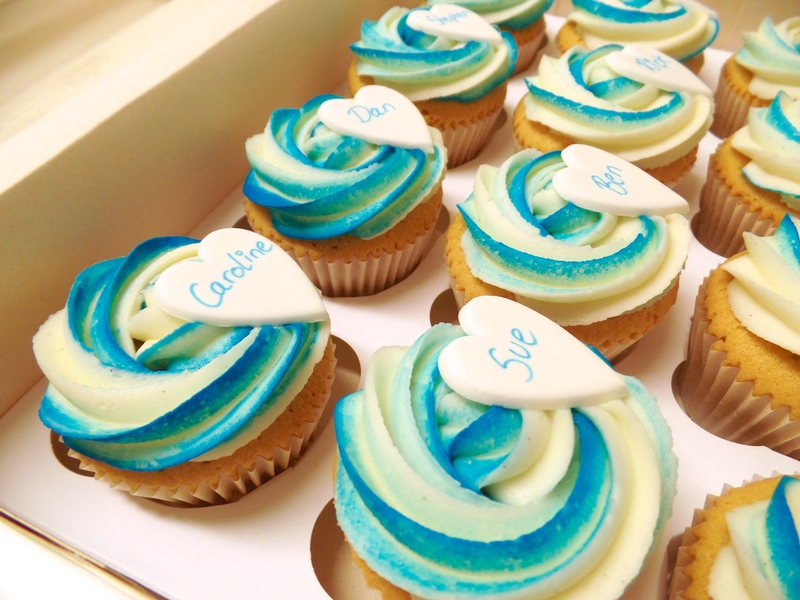 For this wedding, each cupcake was topped with a personalised heart for each guest! There you have it! 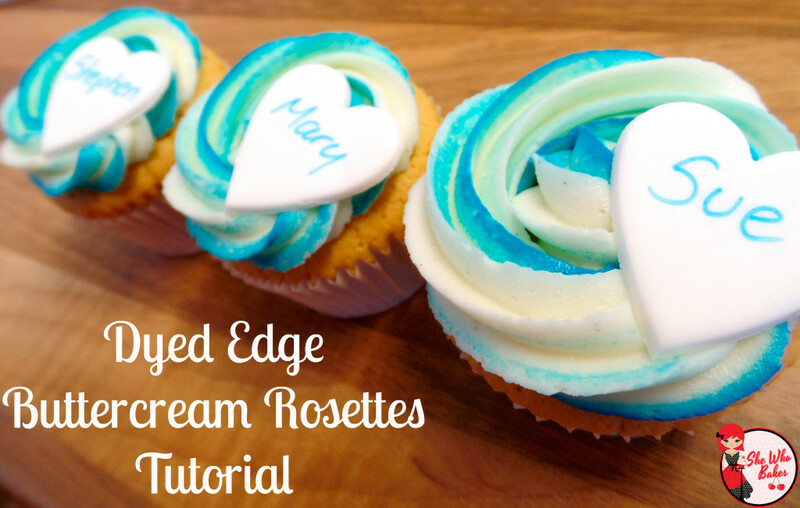 Dyed edge buttercream rosettes. 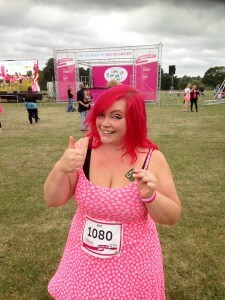 Today I did the Race For Life in Maidstone. 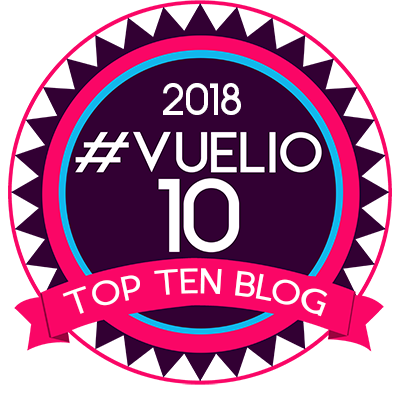 This was my seventh year taking part and even though as I type this, I’m aching in places I didn’t even know I had, I’m so glad I did it. I’m not in the peak or physical fitness, clearly. 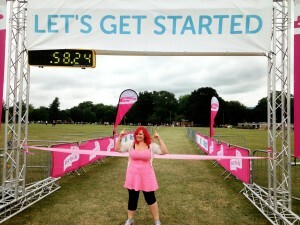 However, as long as I can pull on my leggings, lace up my trainers and get there, I will take part. I did the 5K track in 45 minutes (my personal best) and I’m very proud. It’s an emotional journey as everyone who takes part in the race has a back sign with their own reason as to why they are doing it. 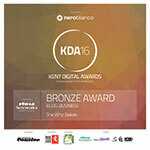 2015 is quite a significant year as to why I’m taking part. As some of you know, ten years ago when I was 16, I lost my mum to cancer; Non-Hodgkin’s Lymphoma. Also in 2001 I lost my nan to breast cancer. I will do all I can to fight. I race for life so no child is left without their parent as I was. 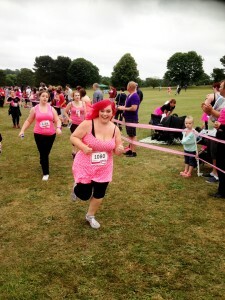 I race for life so no mother has to ever again tell her daughter that she won’t be around for much longer. I race and raise money to end this terrible disease that takes so many of our loved ones every year. 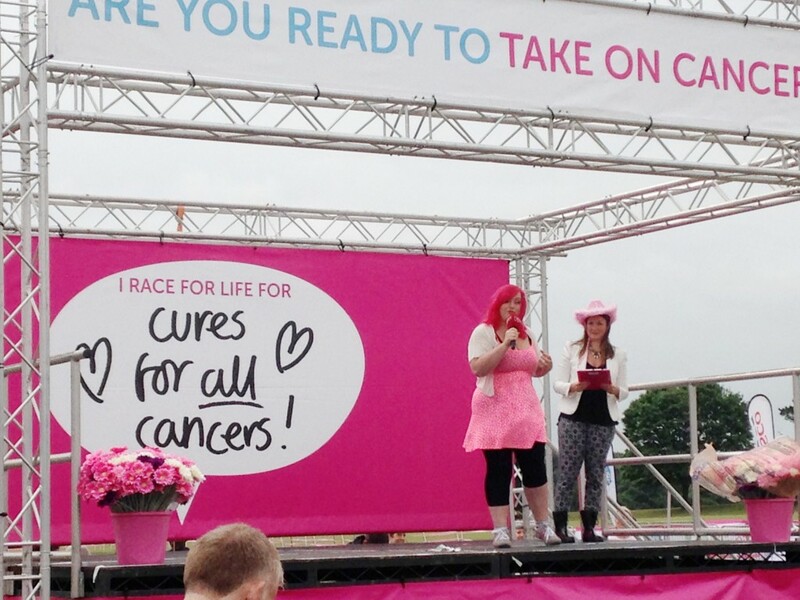 This year, I was lucky enough to be invited onto the stage in front of the hundreds of amazing women racing in a sea of pink to talk about my wonderful mum and why the Race For Life is so important to me. Without her determination and drive, I wouldn’t be the woman I am today, she taught me everything. I have so much to thank her for and I try my hardest to make her proud each day. Let’s keep racing, keep raising money and together, we CAN beat cancer. 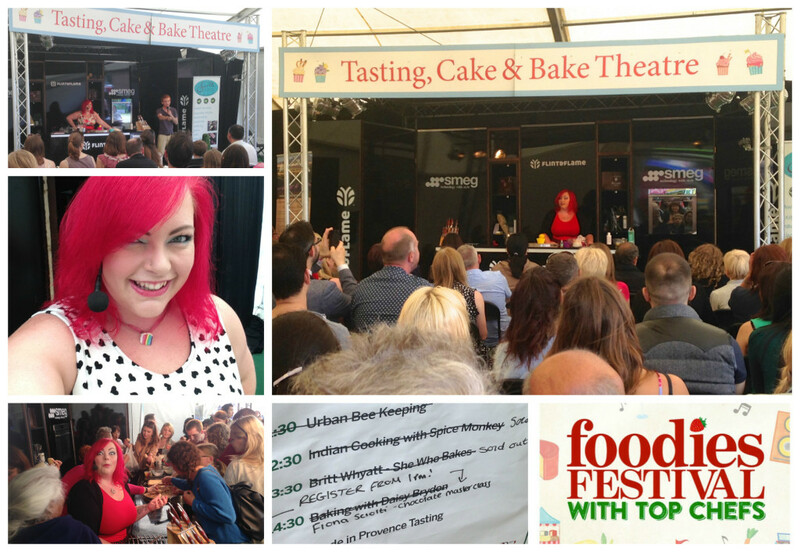 I had such an amazing time demo baking my lemon & white chocolate slices on stage at the Foodies Festival Cake & Bake Theatre at Alexandra Palace this weekend. 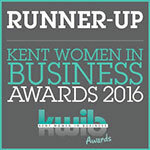 Thank you so much to everyone who came to watch me, volunteered, got involved, asked questions and came to say hi. Your support means the world. 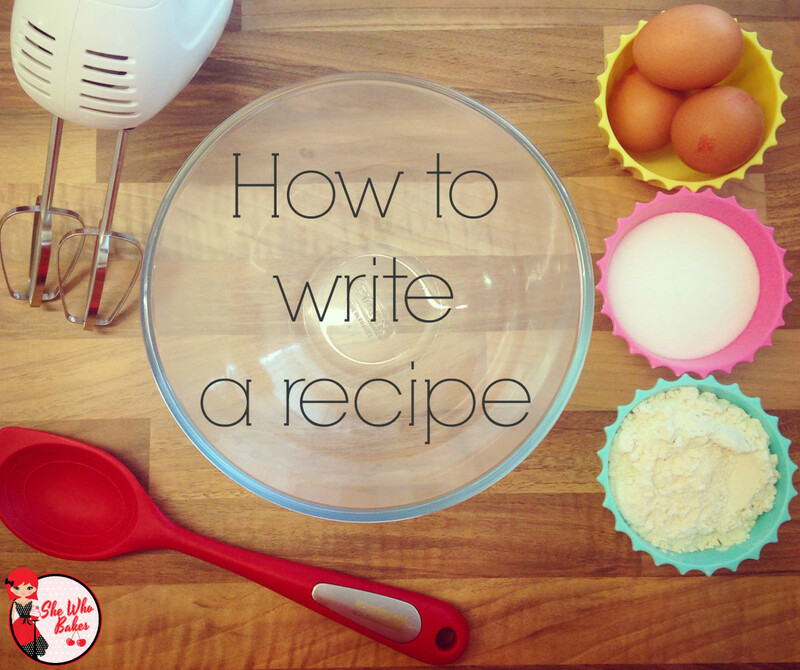 How do you write a recipe? It has to be one of my most frequently asked questions. 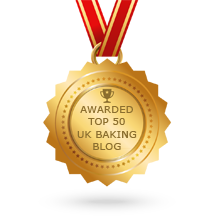 Over the years of baking and blogging, I have devised my own set of tips and tricks to creating a great bake. 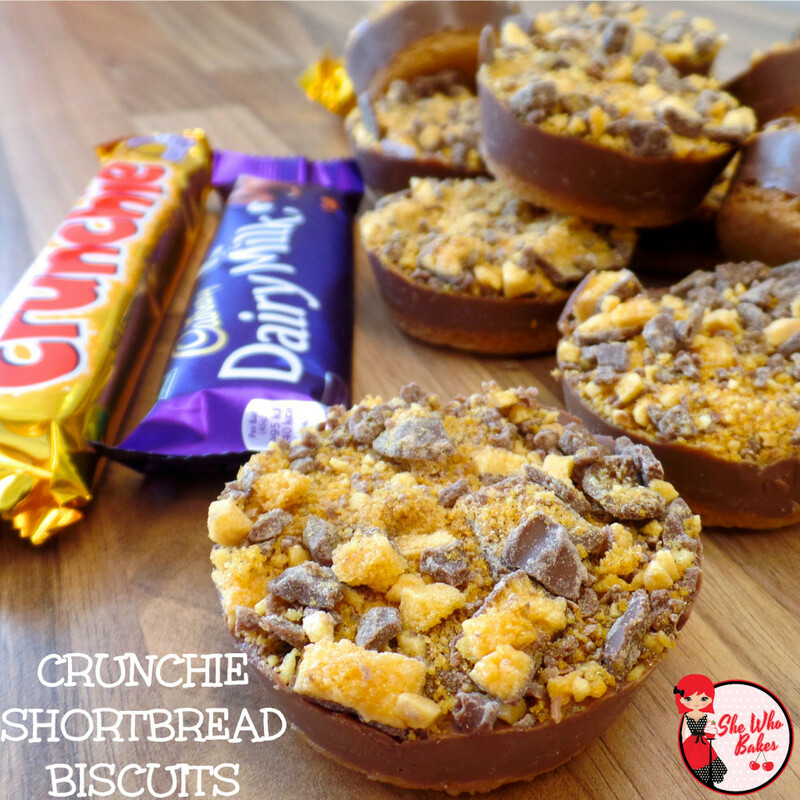 From conception to plate, these secrets of mine I am about to share with you have helped me make some of my favourite tasty treats. It can hit you anytime, anywhere and in any form. Not that long ago I bolted upright at 3am and all I could think about were Creme Eggs, wrapped in a cookie. Later that week I made it a reality. 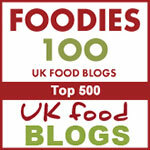 Brainstorm ideas, flavours you like, flavours you would like to experiment with, new products and tastes. I carry around a little notebook for just such ideas as I never know when they will strike! If you find yourself lacking in inspiration, go for a walk. Take a stroll around a supermarket. The bright colours and alluring smells may give you the stepping stone you need. Once you have your idea, think of how it will look, taste, smell once it’s finished. When you have that firmly in your mind you can start to reverse engineer your idea. Say for example your recipe idea had poured chocolate on it, you know that one step would be to melt the chocolate. Sounds obvious but having these steps in place will make the writing process a lot easier. It’s no secret that you get what you pay for. I have had people come to me saying they were simply a rubbish baker when really they were compromising on flavour by saving a few pence. Now I’m not saying to go out there and cover all your bakes in gold leaf, but by using good quality staple ingredients such as free range eggs, nicely milled flour and natural flavourings, it really makes a difference. 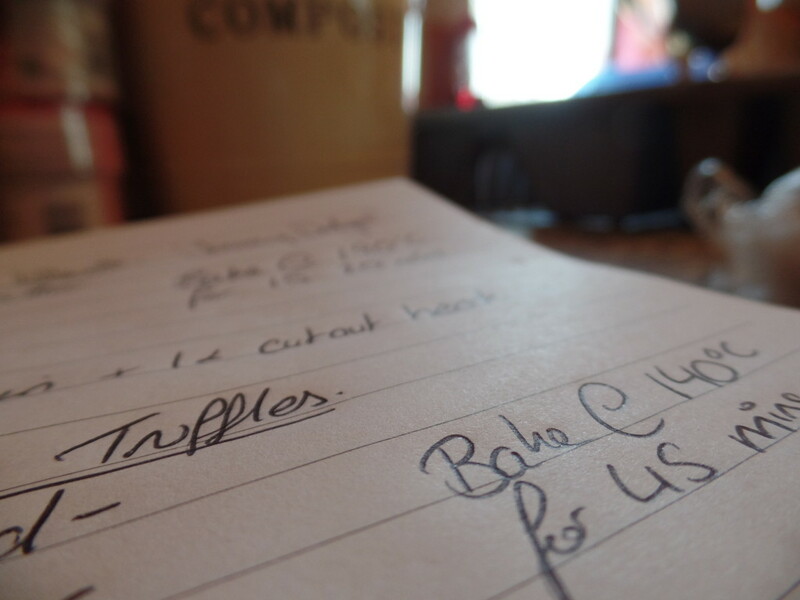 When I’m writing a recipe, once I have my idea and some steps loosely reverse engineered, I will try and write it before I’ve made anything. I know roughly how much flour is needed for a certain size tin and how much 2 eggs will rise so I will create a draft recipe and method. Some of my recipes end up very similar to my draft, while others don’t even look like the same piece of paper. If you think what you want IN it, the quantities will become clear once you start giving it a go. Also, decide what measurements you are going to use and stick to it. It becomes very muddy when you have a cup of this and a gram of that. Ok, so something went wrong. It’s ok. It really is. 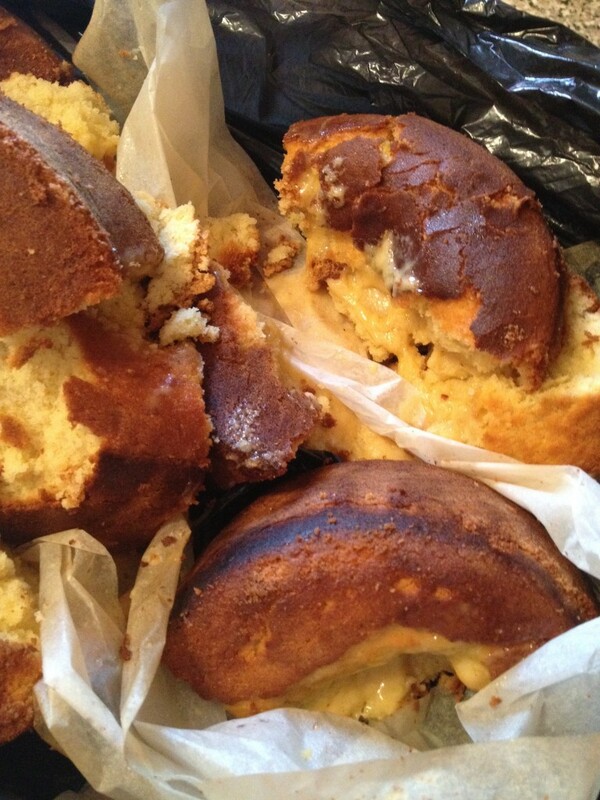 Just today I did something wrong and now have an abundance of sponge to consume give to the birds. When you panic, you get flustered and you are more likely to either do the wrong thing again or something else entirely. Take a breather. Have a cuppa, walk away from it and come back. The flour isn’t going anywhere. 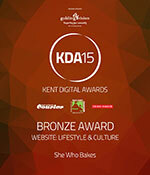 You’ve created your bake, you think it looks amazing, tastes even better, it’s time to show it off. Make sure you have adequate lighting and a good camera (nowadays, smart phone camera are great for this.) Pop your bake on a pretty plate near a window and get snapping. Set dressing is rather important I think. 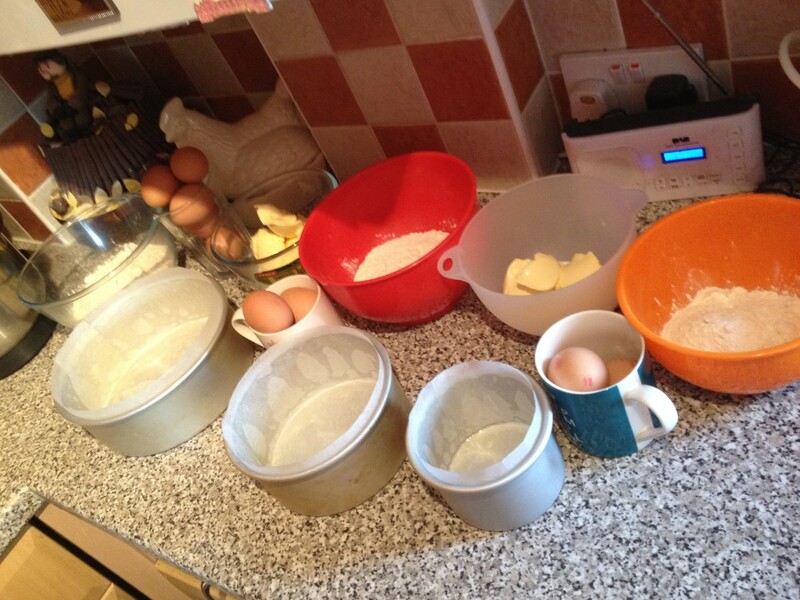 Clear the side of any excess flour and make sure the cat isn’t in shot and you’re good to go. After all, people taste with their eyes first. Give them something to feast on. Lastly, make sure you have fun. Baking is one of those things that when you do it, you put love and care into it. Relax and smile. You’re doing something brilliant. I’m a firm believer that if you smile when you are doing something, the results speak for themselves. I’ve noticed that I make mistakes when I’m stressed. You’re creating something from nothing and I can’t wait to see it. Stay in touch, either on Facebook or Twitter and Instagram.